Try our new Liege Waffle Mix! 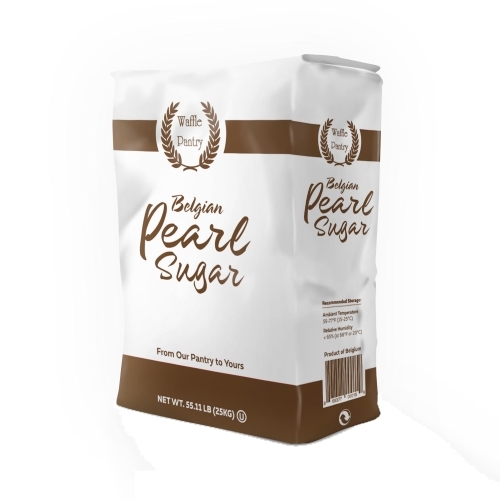 Add our 100% authentic Belgian pearl to your favorite recipes for an enchanting, crunchy texture in your favorite baked goods. Derived from beet sugar; vegan and vegetarian friendly. 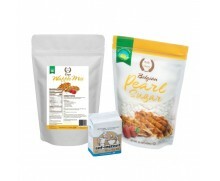 More information to keep your Belgian sugar pearls fresh is available at the Waffle Pantry blog. Excellent product and quick delivery. Waffle Pantry is my first choice for Belgian pearl sugar. 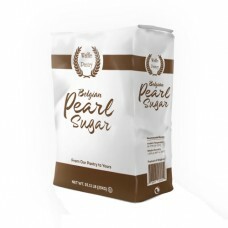 I've been looking for a brand of pearl sugar to replace the one I've been buying locally from a high-end culinary store (that sadly, went out of business). I tried Lars and a couple of other brands, and they all just didn't seem to have the right taste and/or texture. I was skeptical that I would ever find a suitable replacement. I am beyond thrilled that the Waffle Pantry pearl sugar not only met my expectations but exceeded them. The taste is perfectly sweet and the texture is exactly as it should be. I make the dough the day before and refrigerate overnight so the sugar slightly dissolves into the dough to yield a slightly caramelized outer shell. The other brands either didn't dissolve at all or dissolved completely. I definitely plan to reorder. On a side note, the customer service was on par with the quality of their sugar. Super attentive, communicative, and very knowledgeable. Product was delivered quickly and well-packaged. This sugar is fantastic, very high quality and an exceptional product allowing me to use less sugar in each dough ball and reduce overall food cost. Customer service was very friendly, informative and helpful. I will definitely be ordering more once I go through my first bag. I am beyond excited to have received the pearl sugar! I have a large bake to do for Saturday and I am so happy that the bag came quickly! Will definitely be ordering again! Great customer service and great quality ingredient. As a baker I strive to source my materials from non-GMO, natural producers! THank you!